Russian President Vladimir Putin has denied reports that the issue of the deployment of Russian radar at the Lourdes facility in Cuba was discussed during his recent visit to Havana. Moscow is able to defend itself without using the Lourdes signals intelligence facility in Cuba, Russian President Vladimir Putin has said. "Russia has no plans to restart the Lourdes facility," the Russian president indicated. 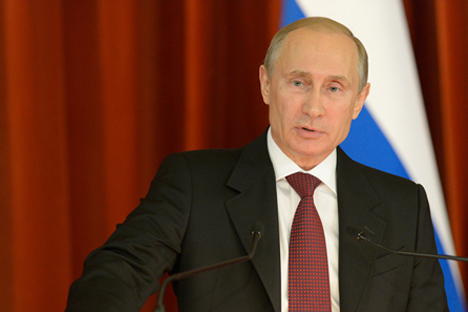 "We are able to maintain our defense capacities even without it," Putin said. He said he did not discuss the issue with the Cuban administration during his latest visit to Havana, on July 14. "We did not talk about our return to Lourdes," Putin said. The Russian media had earlier reported that a final agreement on Moscow's return to the Lourdes signals intelligence facility it abandoned in 2001 was reached during Putin's Cuban visit.